If Richard Strauss teaches us how to exit “this mortal coil,” then it can easily be argued that Gustav Mahler shows us the way into a boisterous and unabashed symphonic existence! He was, like Wagner and Strauss, one who loved the possibilities and expressive power of the human voice and wasted no time in writing much of his first works for the voice and orchestra. In fact, parts of his Songs of a Wayfarer serve as thematic material for this first symphony, written immediately after the premiere of that song cycle. He was taken with the music of Wagner and, in short order, became friendly with luminaries of the day who were Wagner’s associates, such as Hugo Wolf, though that relationship ended abruptly with Wolf accusing Mahler of stealing his ideas. Of interest to the young intellectual born of Jewish parents in Bohemia, were Wagner’s philosophical ideas, as well as his music. 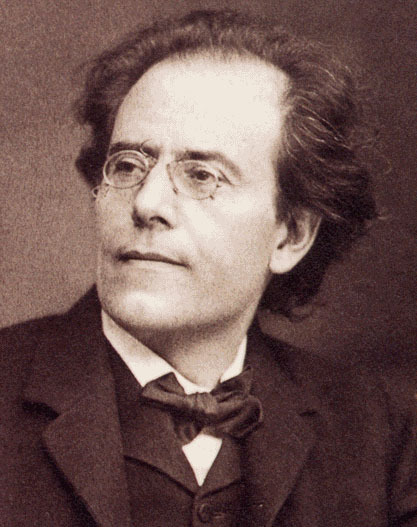 As did Strauss, Mahler became an opera conductor very drawn to Wagner’s music. If the First Symphony sounds like a bit of a mad rush in places, consider that it took the young, seemingly possessed composer only six weeks to write the 50-minute work. One often comes away from a Mahler symphony feeling as though each “story” he tells is somewhat autobiographical. 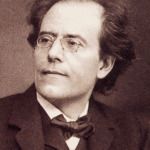 Mahler seems to be obsessed with going from darkness into light and back again pausing every so often to embrace the charm of youth and the times in which he lived. He takes us from what could described as a journey that begins before the dawn of a fresh spring day. He seems to determined to pack his bags and set off for the country dance that awaits us in the second movement, both gruff and sweetly beckoning. The ironic funeral march seems more like the Jewish funeral processions he saw as a young boy growing up in Iglau, a part of the Austrian empire. With mock solemnity, the cortège marches respectfully until they are out of sight, where they pick up the pace until the weary pall bearers set for a moment to enjoy the day as the body and casket wait for them to regain their energy to continue. The final movement is a stormy description of an infernal nightmare that gives way to a respite of sensual beauty. This push and pull of pain and pleasure finds its way to the triumphant close that seemingly quotes the “Hallelujah” chorus from Handel’s Messiah. It is almost as though Mahler were out to prove his D major celebration of joy can outdo Beethoven’s Choral Symphony. You be the judge!